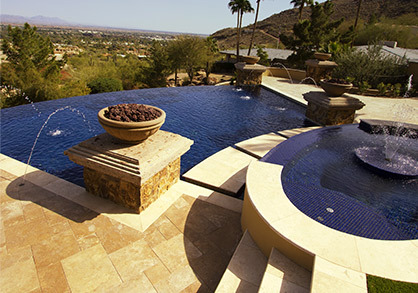 Pool Services Goodyear: How Does A Pool Heater Work? In previous posts, we discussed the question of whether or not it’s OK to leave your pool open year ‘round here in the Goodyear area. While Arizona rarely sees the cold temperatures and winter precipitation that are common in other parts of the country, the temperature in the later months of the year is still decidedly chillier than the summer. However, with pool services and a little bit of knowledge about what maintenance tasks you’ll need to keep your swimming pool in top shape over the winter, it is indeed possible to swim year ‘round. Pool Heaters Make Year-Round Swimming More Enjoyable! One swimming pool accessory you’ll probably want to have if you’re going for a 365-day swim season is a pool heater. Keep reading to discover more about how these handy devices work and be sure to contact Universal Pool Service in Goodyear if you’re ever in need of pool heater repair! 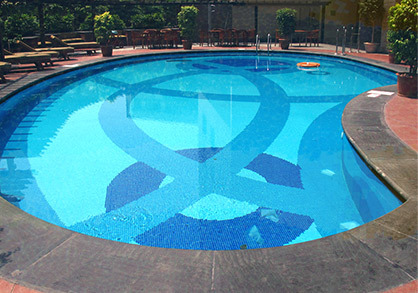 Pool heat pumps are circulatory systems typically powered by gas or electricity. There are even some new pool heaters that are powered entirely by solar energy, which can be quite useful here in sunny Arizona. At their most basic, pool heaters draw in cool water from the pool, passes it through a filter and into a compressor unit. Inside the compressor, Freon gas is squeezed, causing its temperature to skyrocket to over 200 degrees F. The hot gas then flows through a condenser coil where it’s exposed to the pool water. The result? The pool water warms up! Then it’s allowed to flow back into the pool. Let Universal Pool Service Perform Your Pool Heater Repairs! If you’re planning to use your pool all winter and the pool heater malfunctions in some way, it’s going to be a big disappointment, and could even lead to frozen pool water, which is a big problem. Keep your pool heater running great with a pre-winter inspection from the swimming pool service experts at Universal! 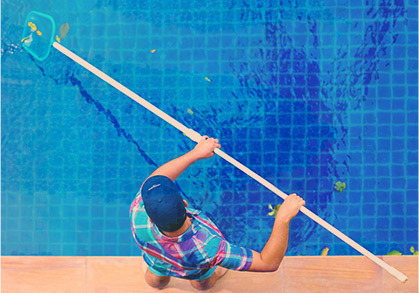 If something goes wrong, we’ll be out as quickly as possible to perform the necessary pool heater repairs.